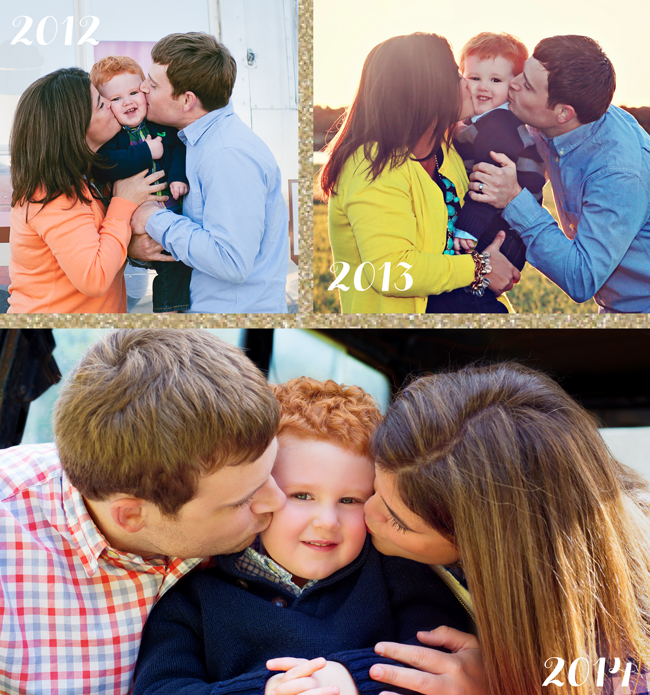 Having our family photo taken every year for our holiday photos is one of my favorite traditions. And we have a "tradition" photo we take each year. The family Asher face kiss. Isn't it so fun to see the progression! Whether you are a family, a couple or a set of best friends, this is an easy tradition to love!